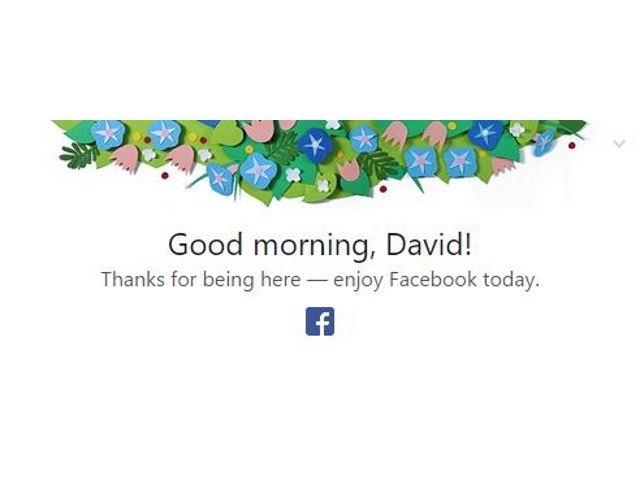 Did Facebook wish anyone else a good morning today? The graphic pictured to the right appeared atop my News Feed when I first logged into Facebook (via desktop) Wednesday morning. Readers: Has anyone seen anything similar?